A startup called Ambrosia Medical that charges $US8,000 to fill your veins with the blood of young people plans to launch its first clinic in New York City at the end of this year. Karmazin recently launched Ambrosia Medical – a startup that fills the veins of older people with fresh blood from young donors – in the hopes that the procedure will help conquer ageing by rejuvenating the body’s organs. The company plans to open its first clinic in New York City by the end of this year, Karmazin told Business Insider. 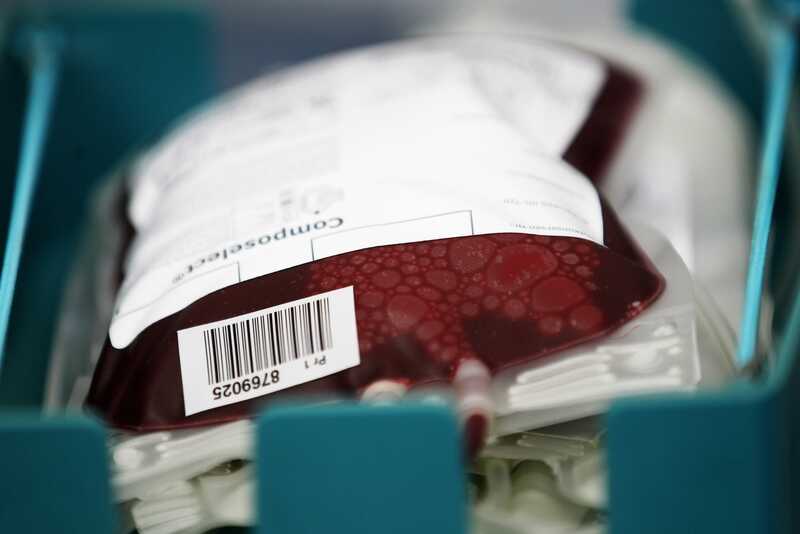 Because blood transfusions are already approved by the Food and Drug Administration, Ambrosia’s approach has the green-light to continue as an off-label treatment. There appears to be significant interest: since putting up its website last week, the company has received roughly 100 inquiries about how to get the treatment, David Cavalier, Ambrosia’s chief operating officer, told Business Insider. That led to the creation of the company’s first waiting list, Cavalier said. “So many people were reaching out to us that we wanted to make a simple way for them to be added to the list,” Cavalier said. “New York would be the flagship location,” Karmazin said. Joern Pollex/Getty ImagesA bag of red blood cells. 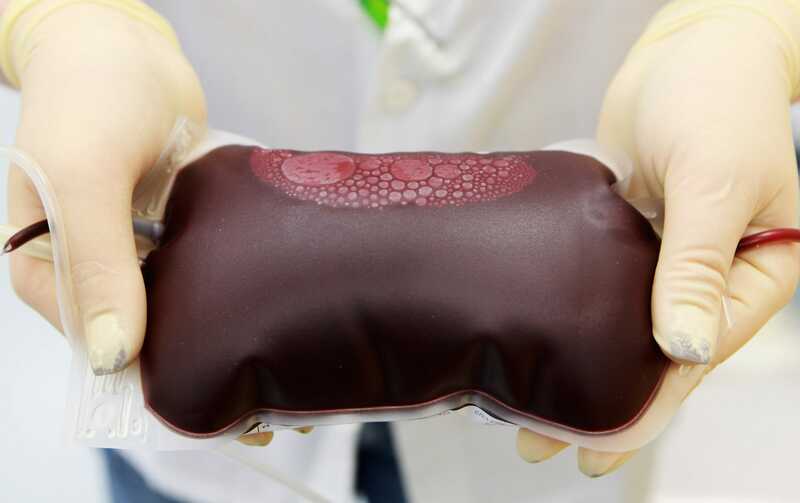 The trial, which involved giving patients 1.5 litres of plasma from a donor between the ages of 16 and 25 over two days, was conducted with physician David Wright, who owns a private intravenous-therapy center in Monterey, California. Before and after the infusions, participants’ blood was tested for a handful of biomarkers, or measurable biological substances and processes that are thought to provide a snapshot of health and disease. People in the trial paid $US8,000 to participate. The company hasn’t settled on a commercial pricetag for the procedure, Karmazin said. “The safety profile was essentially perfect, or as good as plasma transfusions are,” Karmazin said. A simple blood transfusion, which involves hooking up an IV and pumping the plasma of a healthy person into the veins of someone who’s undergone surgery or been in a car crash, for example, is one of the safest life-saving procedures available. Every year in the US, nurses perform about 14.6 million of them, which means about 40,000 blood transfusions happen on any given day. “There’s just no clinical evidence [that the treatment will be beneficial], and you’re basically abusing people’s trust and the public excitement around this,” Stanford University neuroscientist Tony Wyss-Coray, who led a 2014 study of young plasma in mice, recently told Science magazine. Karmazin said “many” of the roughly 150 people who’ve received the treatment have noted benefits that include renewed focus, better memory and sleep, and improved appearance and muscle tone. But it’s tough to quantify these benefits before the study findings are made public. There’s also the possibility that simply travelling to a lab in Monterey and paying to enroll in the study could have made patients feel better. Irina Conboy, a bioengineering professor at the University of California at Berkeley who pioneered one of these parabiosis studies in mice in 2005, found evidence that the exchange had done something positive for the health of the older mouse who received the blood of the younger mouse. But the animals weren’t simply swapping blood – the older rodent was also reaping the benefits of the younger one’s more vibrant internal organs and circulatory system. In other words, the researchers couldn’t say for sure whether it was the blood itself that was doing the apparent reviving or if the fact that the animals were linked in other ways was responsible for those perceived benefits. In 2016, Conboy and her team ran another study to see what would happen if they merely exchanged the rodents’ blood without connecting their bodies in any way.They found that while the muscle tissue in the older mice appeared to benefit slightly from the younger blood, they still couldn’t say for sure that these modest benefits were coming from the young blood itself. After all, the experiment had also fundamentally changed the older mouse blood by diluting it. “The effects of young blood on old tissue seems to be rejuvenating; however, there is no concrete evidence that young blood is what is causing the change in results. It may very well be the dilution of old blood,” Ranveer Gathwala, a UC Berkeley stem-cell researcher in Conboy’s lab who co-authored the 2016 paper, previously told Business Insider. Nevertheless, Karmazin remains hopeful that the benefits he said he’s witnessing are the result of young blood transfusions.